There's a free store on the small canadian island where my dad lives. It's basically a thrift store where you don't pay for anything. The place is only open on Saturdays and you have to show up early if you want to get the good stuff. (Actually, I've heard volunteering is the way to go if you really want first dibs.) Anyhoo, H-town is very keen on "shopping" at the free store whenever we visit my dad. But I didn't realize the concept had such an illustrious history. 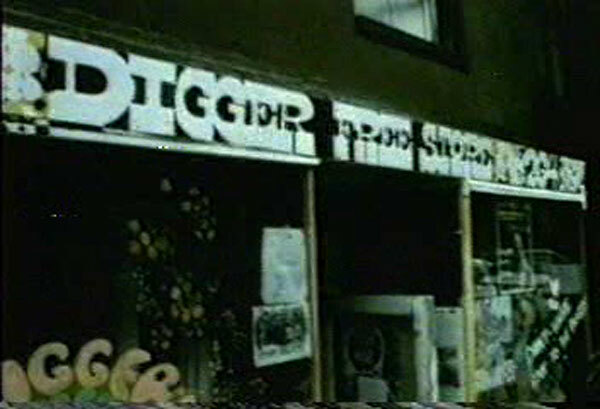 According to HI + LO, "in the 1960s, a group called the Diggers opened numerous Free Stores in SF's Haight-Ashbury and NYC's East 10th Street in which all items were free for the taking or giving." Now two NYC artists have opened a new Free Store in the Financial District, where goods can be obtained through trade. I hate to say it, but some good things are coming out of the recession. There used to be a hilariously busted Free Store in Williamsburg. I recall an beat up trumpet chained to a squishy couch and a really crusty coffee maker with a cheerful sign that said "Make some coffee for everyone!". We have a sort of "free store" in the entryway of our apt. building. My neighbors and I leave our giveaways down there and every day it's a new mishmash of random crap. I've obtained a few cool cardigans and even rid myself of an old IKEA lamp that way. Every time I show up to work in something new and eclectic my boss says, "Umm... I see you've been shopping at The Teasedale again." So what? I've got a wedding to pay for! I'm poor! It beats having stare-downs with hipster kids over last season Anthropologie skirts at Buffalo Exchange. I think I'm ranting again. One question, is this one open only on the weekends? or all week long? I think of the dumpster behind my apartment as a free store. I've gotten some of my favorite pieces of furniture out of it and today I gave back by leaving a lamp there. Hopefully someone will enjoy it. Wait,wait, wait there missy - I know your dad lives somewhere on the BC coast - but doesn't Hornby Island have a free store? I'm sure many of those islands do, considering the plenitude of hippie-era residents that abound. p.s. Will you go to the nyc store and send us a report? awesome. 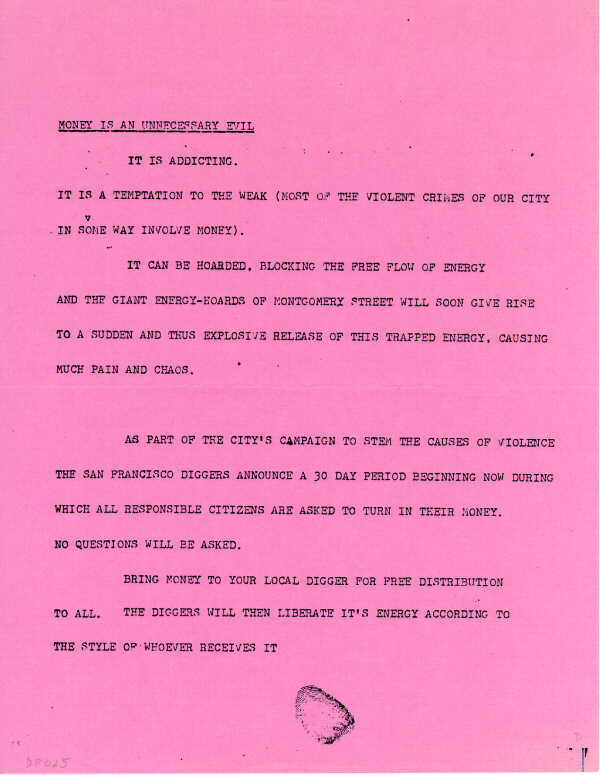 of course it started in san francisco. What a great idea, now I know where I am going with my garage sale worthy goods. I read about The Diggers before, it's a bloody brilliant idea. Oh to live somewhere cooler. of course, of course! I will report back with great tales of discovery. On the other hand, I have a lot of warm fuzzy feelings about all those west coast islands, and started to tear up a little when you posted about the beaches over yonder. I miss those places oh so much. And I'm more than a little in awe that you and H-town got to have a kickass wedding shindig there! That's so cool! 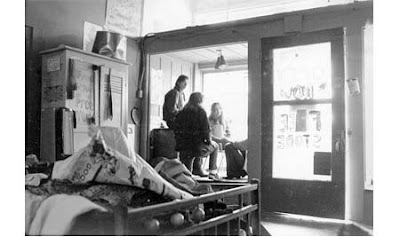 There was a free store in Hudson NY when I lived there, and I won't tell you what I got, because I don't want to make you jealous, but let's just say that it nearly made living in the middle of nowhere worth it.